Metamaterials... So, what is it all about? Find out all about metamaterials in this great lecture by Prof. Ekaterina Shamonina. Ekaterina is a professor in Electrical Engineering at the University of Oxford and a true inspiration for fellow scientists. In the blog by Joaquín Sevilla you will find leasurely notes about science, education, teaching and 'other herbs'. Hyperbolic graphene metamaterial with the period of ~10 nm built and experimentally characterised. 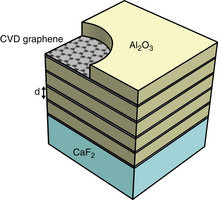 A crucial step towards the practical realisation of exciting graphene-based devices, including the waveguide modulator using multilayer graphene metamaterials. A beauitiful work on quasicrystals. Luca Bindi et al, Scientific Reports 5, Article number: 9111 (2015).